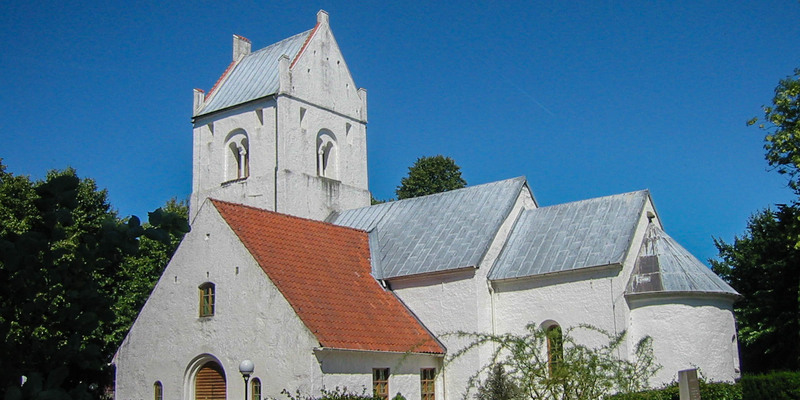 Fjelie Kyrka is located in the small village Fjelie, around 10 kilometers north of Lomma. 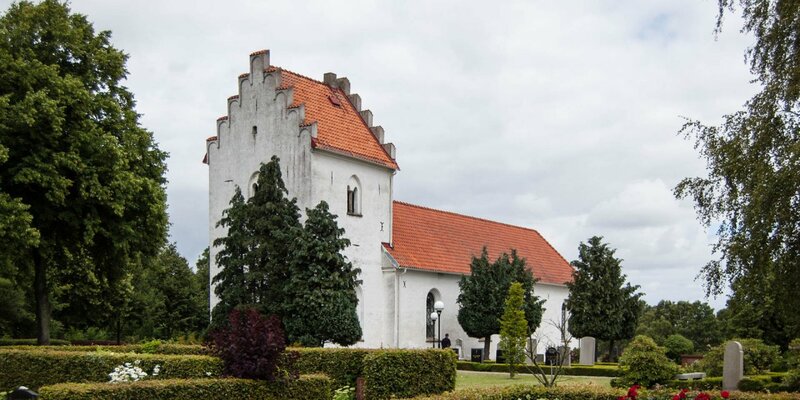 It was built around 1130 and is one of the oldest churches in Skåne. 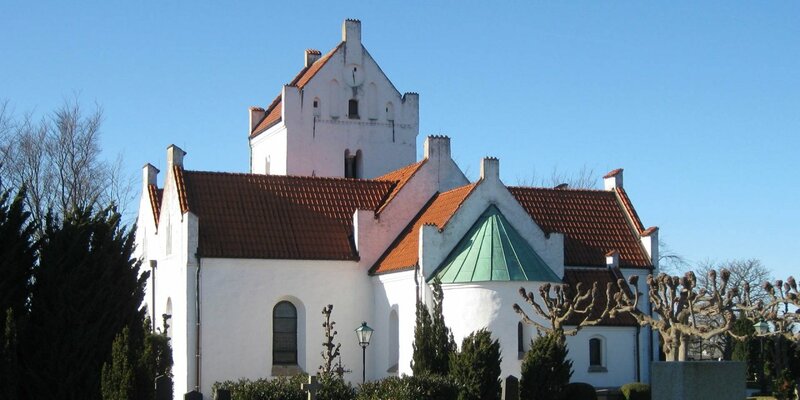 The original parts of the Romanesque Fjelie Kyrka, consisting of the nave, the choir and the apse have kept their medieval appearance. Particularly interesting are the well-preserved ceiling and wall paintings. The oldest Romanesque paintings were created in the 12th century, but were altered in the 14th century. There are also Gothic paintings on the arches in the sanctuary. The sandstone altar and the stone font are as old as the church itself. The font is a medieval reproduction of the pelvis of the oldest stone church in Scandinavia, the Holy Cross Church in Dalby. The painted pulpit with wood carvings depicting the evangelists dates back to the 17th century. The interesting astronomical clock in the south transept is from 1940. 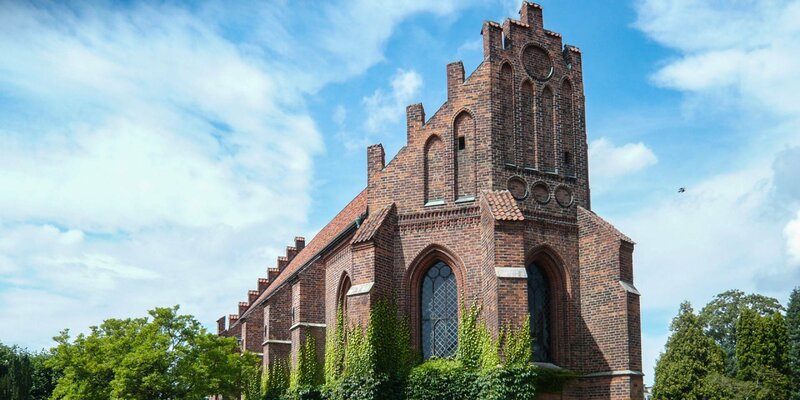 The most precious possession of the church, a carved Madonna with Child from the early Middle Ages, is located in the historical museum in Lund. The sculpture in the church is just an identical copy. When the church was built around 1130, it consisted only of the nave and the choir with the apse. The massive tower was built about a hundred years later. Initially equipped only with a straight ceiling, the Gothic arches were attached in the nave and choir in the 14th century. The two transepts were added in 1772 and 1802 to enlarge the church due to the growing population.